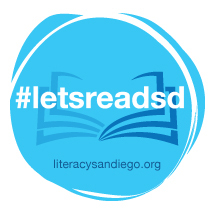 Words Alive was honored to have been a partner in the Readers in the Heights program this summer alongside Community Housing Works, San Diego Workforce Partnership, San Diego County Office of Education, San Diego Council on Literacy, City Heights Public Library, and United Way San Diego. Readers in the Heights was a pilot program aiming to prevent summer slide by aligning and leveraging existing resources to bring summer learning opportunities to the City Heights Community Development Corporation (CHCDC). This year there were 51 children enrolled in the program and 36 children with perfect attendance. The diverse demographics of the children involved in the program is reflected in the varied language spoken at home. Families reported Somali, Amharic, Spanish, Arabic, Kizigua, or Haitian Creole as their primary language spoken at home. During the program the children had the opportunity to take field trips to the library, be read aloud to, create arts and crafts and make new friends. Words Alive modeled our Small Group session during the Readers in the Heights program and providing volunteers to read preassigned books to the children followed by a small group book discussion. During the small group, children are divided into groups of 4 and have the opportunity to look more closely at the book. The Words Alive volunteers ask questions that encourage participation and analytical thought while providing a space for every child to share their opinions about the story. The Readers in the Heights facilitators have noticed and reported the positive impact of the program, “The kids look forward to the reading components as the ‘special part’ of the program”. After 4 weeks of hard work and fun the participating families graduated from the program. Graduation day celebrated the families for their dedication and time they have invested in their children’s education. We wanted families to walk away feeling appreciated, empowered, and fulfilled.